Field training is perhaps the most important aspect of molding a recruit into a competent police officer. The recruit frequently comes to the field training officer (FTO) fresh out of the academy, full of book knowledge and with more than a little trepidation about the job. It is the field training program that serves as the most important step in indoctrinating the rookie with the concepts of public service, officer safety, ethics, justice and discretion. It is also the best chance the department has at evaluating the new officer to determine if he or she is fit to serve. 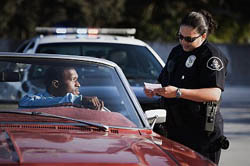 Department expectations are defined in the standard operating procedures (SOP), but the recruit will only adhere to them if he or she sees the FTO following them. The FTO cannot ever take the “do as I say, not as I do” approach. If the FTO lives by the SOPs, the recruit will intuitively understand their importance and will be much more receptive to learning them. The FTO must set the correct tone early with the rookie. The recruit should understand that the field training officer is his or her instructor and first line supervisor. The FTO cannot be seen as a “friend” or “equal” because they are not. Likewise, the FTO should strive to develop the trust of the recruit so the new officer is willing to ask difficult questions and learn the skills they absolutely must have. The FTO should never discuss the recruit’s mistakes or other problems outside of the program. Doing so would violate the recruit’s trust, and hinder all future learning. The ideal FTO would be seen as firm, but fair. Standardized evaluation guidelines (SEGs) are designed to provide a consistent frame of reference for the recruit officer, the FTO and the department. Training officers who deviate from the SEGs will frustrate the recruit and invalidate the evaluation process. Carry the SEGs with you, and reference them frequently when writing your daily observation reports. There are jobs other than law enforcement where more workers are killed. However, I don’t know of any where there are more assaults on the employees. The harsh fact of the matter is every police officer that goes to work carries a gun and wears body armor for a reason. That reason is because it is the police officer’s function to seek out the worst criminals and predators in society and confront them head on. As an FTO, it is your responsibility to ensure that the recruit officer learns and properly uses the skills they will need to save their own life. I’ve terminated officers who I really liked, but who could not develop the required officer safety skills. I cannot allow an officer to be released for duty if they are a danger to themselves or others. I’ve been to too many funerals, and I refuse to release an officer who we would just have to bury later. As law enforcement officers, we are required to know and understand all of the laws related to our job function. The sad reality is the schools don’t teach the Constitution, and many academies don’t have the time to fully explore the sections applicable to law enforcement. This may seem a bit crude, but as an FTO I explain to every recruit the US Constitution effectively says that we, as members of the government, aren’t allowed to screw with the public. I also explain that there are some mighty stiff penalties if we do harass, intimidate, detain or otherwise screw with the public. Only then do I start to discuss state criminal law. I explain to the new officer that criminal law is a set of things that the public has determined no one is allowed to do, and that they have hired us to seek out those people who have committed those crimes. From that perspective, I find that the rookie officers are much more willing to study and understand case law surrounding topics like search & seizure and Miranda. With Whom Do You Want to Work? At the end of the day, the field training officer is teaching the officer that will back him or her up on hot calls. If an FTO takes that view, he or she will most likely train up a recruit to be an ethical, hard-working go-getter. As I explained to another officer recently, I take the viewpoint of would I want this recruit responding to handle a call at my parents’ house? If not, then I’ve got more work to do.